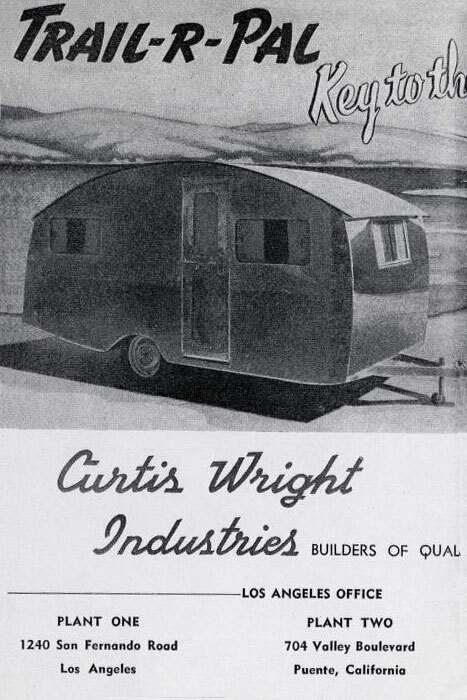 …snip… Curtis Wright, who moved to LA from Michigan before the war to start a manufacturing plant, hired Wally Byam. After the war in 1946, they started production of a new post-war travel trailer based on Wally’s pre-war Airstream Clipper & Silver Cloud models at the LA Metropolitan Airport. 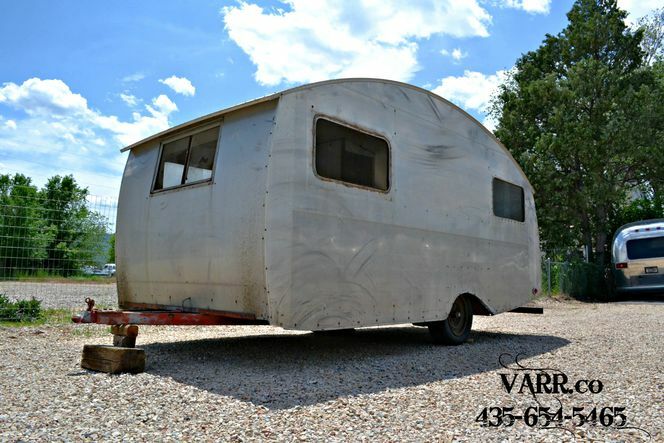 After some months they went their separate ways, forming the Airstream Co. and Curtis Wright Travel Trailers. 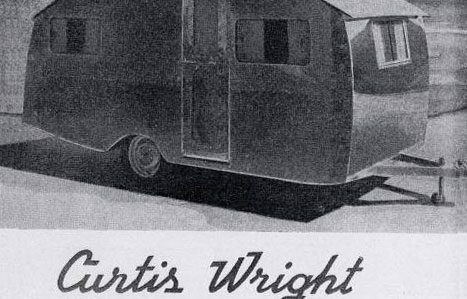 This appears to be why late ’30’s Airstreams and 1940’s Curtis Wright’s look very similar. 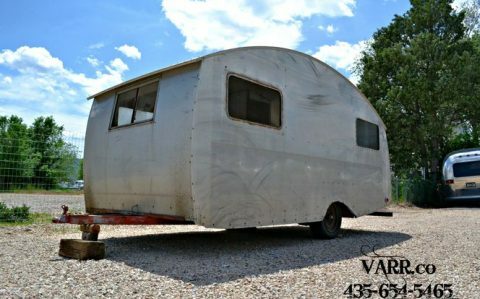 In June 1949, three individuals, Kenny Neptune, Frank Pollito and “Pat” Patterson, who had met each other while working for Douglas Aircraft, acquired the trailer business from Mr. Wright and began producing trailers under the Silver Streak name in south El Monte California -which it continued into the 1970’s as a separate company. 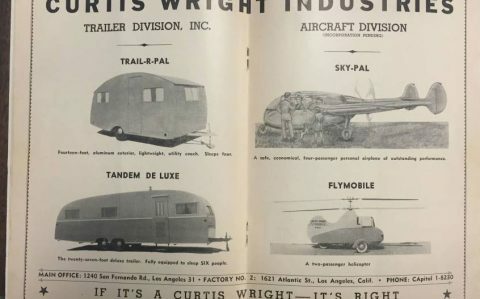 Curtiss-Wright manufactured airplanes during the 1940’s, 1950’s. 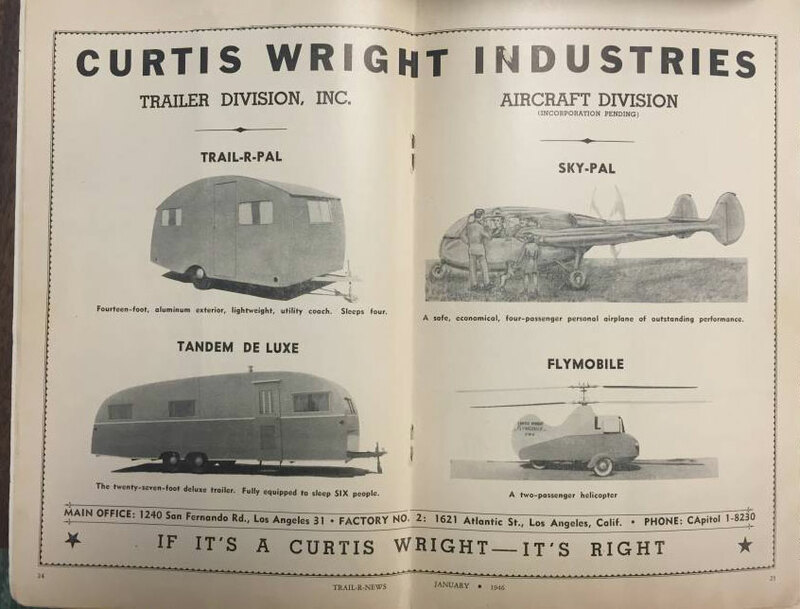 The trailers were made at the Curtis-Wright facilities, but a man bearing the name of Curtis Wright (without the extra “s”) took advantage of his name to build trailers, and hired Wally Byam founder of Airstream to continue the Clipper designs. This relationship only lasted for a few months.